﻿ Malm Fireplaces, Wood and Gas Burning Fireplaces. NEW! 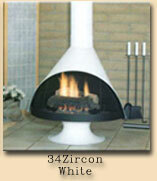 34" Gas Zircon Direct Vent. See the Imperial Carousel & Spin-A-Fire work video. Click here to see how the Carousel and Spin-A-Fire work. 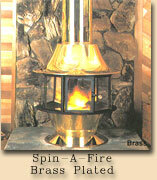 free-standing wood burning and gas appliances. 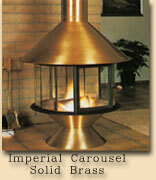 Our Spin-A-Fire and Carousel feature Malm's patented spinning fire. See the product page for more details on how this feature works.